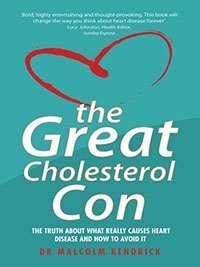 Dr. Malcom Kendrick is the author of the book The Great Cholesterol Con. He is the co-author of a recently published paper that looks at important risk factors related to cardiovascular disease, pointing out that looking at LDL cholesterol levels are not a good indicator of heart disease. Dr. Malcom Kendrick is part of The International Network of Cholesterol Skeptics (THINCS). 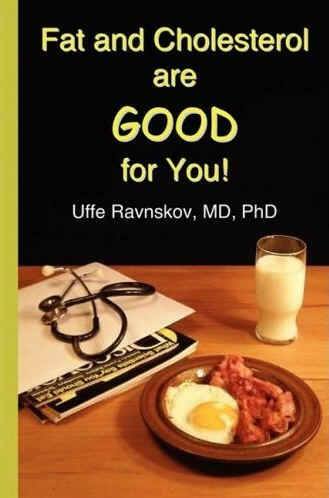 The lead author of this recently published paper is Dr. Uffe Ravnskov, author of Fat and Cholesterol are Good for You, and the leader of THINCS. We have featured both men’s writings frequently here on Health Impact News over the years, as they expose the cholesterol myth and the statin scam. So if LDL cholesterol is not a contributing factor in heart disease, what is? This White Paper recently published in the journal Medical Hypotheses encourages researchers to abandon the LDL cholesterol theory of heart disease, and consider other, more important, risk factors. This paper is titled Inborn coagulation factors are more important cardiovascular risk factors than high LDL-cholesterol in familial hypercholesterolemia. It was published in the journal Medical Hypotheses online September 10th, 2018, and is scheduled for publishing as a hard copy for December 2018. The full white-paper text summarized in this article will be available free for only 50 days after September 10, 2018, after which it has to be purchased and only the abstract will be available online without charge. … those individuals with FH who suffer from CVD may have inherited other and more important risk factors of CVD than high LDL-C. In accordance, several studies of FH individuals have shown that various coagulation factors may cause CVD. Equally, some non-FH members of an FH kindred with early CVD, have been found to suffer from early CVD as well. The cholesterol-lowering trials have only been successful by using apheresis, a technique that also removes many coagulation factors, or in an animal experiment by using probucol, which has anticoagulant effects as well. It’s important to note that this paper was written for mainstream medical purposes. So it may appear conservative to many Health Impact News regular readers with its remedy recommendations for familial hypercholesterolemia while trashing the use of statin drugs for this disorder. Even among the increasing band of medical professionals who consider statin drugs high risk with little to no advantage, most of them tend to reserve allowances for prescribing statins to FH victims. Familial hypercholesterolemia (FH) is a genetic disorder shared among family members that disrupts or minimizes LDL receptors in the liver and other cells in the body, resulting in an excess (hypercholesterolemia) of LDL (low-density lipoprotein) blood levels. Cholesterol is physiologically the same type of waxy substance vital for cell formation, tissue repair, and hormone production. The only differences are with the four basic types of lipoproteins which are essentially protein cholesterol carriers that transport cholesterol throughout the body into various cells. Of the four basic lipoproteins types, most medical focus is on two: HDL (high-density lipoproteins) and LDL (low-density lipoproteins). Earlier, mainstream medicine considered all cholesterol at arbitrarily set high levels as markers for heart disease. However, the same authors of this paper and 12 others located throughout the world made the case against the current notion of LDL as the cause of heart disease recently with a massive critical review. Health Impact News covered this review here. If high LDL-C [low-density lipoprotein – cholesterol] were the cause of CVD [cardiovascular disease] in FH, LDL-C [low-density lipoprotein cholesterol] should be associated with degree of atherosclerosis, but several observations are in conflict with this assumption. 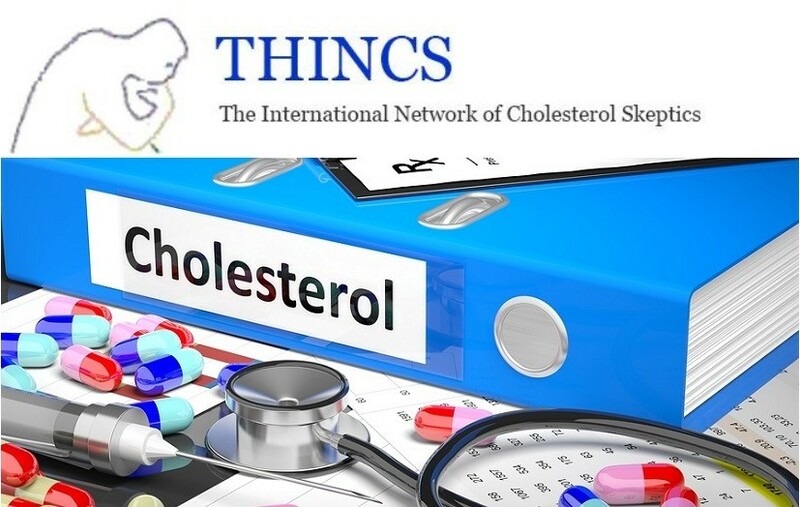 The white-paper continues to analyze and parse the contradictions, faults, and failings of several studies attempting to prove the LDL connection to familial hypercholesterolemia (FH) and challenge studies that claim lowering cholesterol solves FH issues. The authors conclude from their analysis of several studies that none of the trials referenced in their paper actually succeeded in improving clinical outcomes for CHD mortality, total mortality, non-fatal CHD, or CVD events among FH victims. The possibility that factors other than raised LDL-C are associated more strongly to the risk of CVD, is supported in many different studies. We have found that the commonest and best-documented ones are inborn errors of the coagulation system. … Aviram et al. found that their platelets were significantly more reactive to various aggregating agents than platelets obtained from normal individuals. Furthermore, incubating washed platelets from normal individuals with plasma from FH subjects also showed increased response to aggregating agents, whereas washed platelets from FH subjects had a significant decrease of activity, providing definitive proof that the increased platelet activation in FH patients is induced by abnormal plasma constituents. Sugrue et al. found that plasma fibrinogen and factor VIII [an essential blood-clotting protein] were significantly higher among FH subjects with CVD, whereas there was no significant difference as regards LDL-C or any other lipid. Jansen et al. genotyped 1940 FH patients for 65 polymorphisms in 36 candidate genes and found that polymorphism in the prothrombin gene was significantly associated with an increased risk of CVD [cardiovascular disease]. The authors’ referenced coagulation studies with FH individuals were positive confirmations of their FH causal hypothesis. The flaws discovered in several studies meant to prove LDL as a cause of cardiovascular disease among FH victims were further proof that the issue among FH individuals was not due to high LDL cholesterol readings. Furthermore, an animal study was cited that was conducted with rabbit models of induced FH. The rabbits were treated with probucol, an anticoagulant, which lowered factor VIII and fibrinogen and prevented atherosclerosis without significantly reducing blood cholesterol. It seems clear that in those individuals with FH who suffer premature CVD, the key abnormality is one of coagulopathy. Note: The complete white-paper can be accessed without charge here within 50 days of September 10th, 2018. If this link doesn’t work during the 50 day period, go to the article introducing this paper by co-author Dr. Malcom Kendrick and use the link in that article. However, the abstract will be available if the free full text period expires, or if the links don’t work.